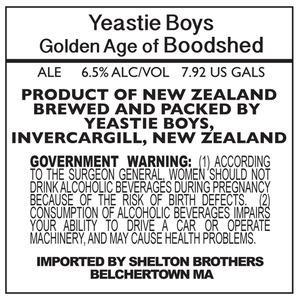 Yeastie Boys Golden Age Of Bloodshed is imported by Shelton Brothers, Inc. in Belchertown, Massachusetts from New Zealand. The alcohol content is 6.5%. This brew is served on tap. We first spotted this label on May 30, 2013.